This will prevent Arnold from sending you messages, friend request or from viewing your profile. They will not be notified. Comments on discussion boards from them will be hidden by default. Sign in to Goodreads to learn more about Arnold. Great book about wisdom of using timw of our life. Prioritizing your task, cut off the distraction, Refresh your mind by meditating + nap and take care of your body by excercise more. When you had active body, your brain will become better. Dont just Great book about wisdom of using timw of our life. Prioritizing your task, cut off the distraction, Refresh your mind by meditating + nap and take care of your body by excercise more. When you had active body, your brain will become better. Dont just think and sit. 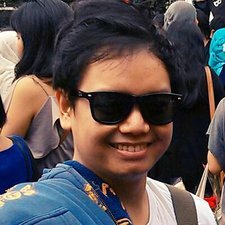 Arnold Saputra is 63% done with Make Time: bagus buku ini ,menjelaskan bagaimana kita bisa menghilangkan distraksi untuk bisa lebih produktif. Bisa dengan mematikan internet, menghilangkan app sosmed dan berhenti langganan streaming service. Hidup akan lebih terasa lambat dan kita bisa lebih produktif. The best book from Jason Fried. Your life are more important than your work. Work just one of way to survive. This book really make me think and redefine 'what is success?'. Is become a workaholic worth it? How far you push yourself? How far and stret The best book from Jason Fried. Your life are more important than your work. Work just one of way to survive. This book really make me think and redefine 'what is success?'. Is become a workaholic worth it? How far you push yourself? How far and stretch you make a goal? Arnold Saputra has read 14 of 32 books. Arnold Saputra read 27 books of his goal of 12! Arnold Saputra read 13 books of his goal of 7! Take a look at Arnold’s Year in Books. The good, the bad, the long, the short—it’s all here.